Welcome to Lightopedia, your one-stop source for all your lighting legislation and education needs! Have you noticed that many of the bulbs you’ve grown to know and love are not on store shelves anymore? Over the past few years, increasing energy efficiency standards for incandescent light bulbs have caused a shift in lighting options. The new legislation means that you now have more options than ever. Be sure to read on to find out more about what’s available to you. Yes, you've read correctly. It's time to say "bye - bye" to the light bulb you've grown to know and love. 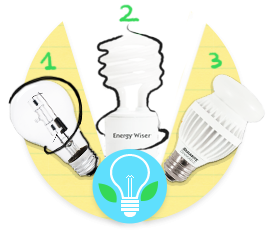 Congress recently passed a law to encourage the use of more efficient bulbs nationwide. The new legislation caused a shift in lighting options but it didn’t reduce your choices. 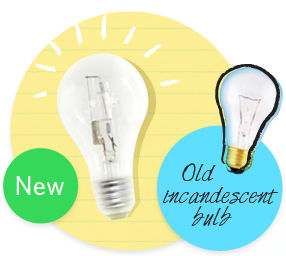 Now you can choose from EcoHalogen, CFL or LED options. The new legislation has created much confusion about light bulbs. 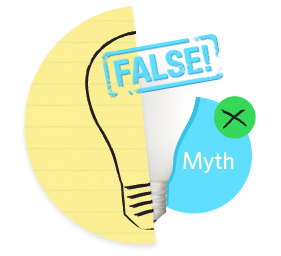 Here are a few myths we'd like to shed some light on.